The Los Angeles Rams say they are ready for the New Orleans Saints. They insist the Mercedes-Benz Superdome crowd noise will be a nonfactor in their rematch with the Saints in the NFC Championship Game. But I think otherwise. They sound like they are trying to convince themselves that everything’s going to be OK. They sound to me like a team in denial. The Saints are in their heads. And trust me, the sellout crowd of 73,000 will be in their ears on Sunday. The Superdome atmosphere is guaranteed to be electric. With Drew Brees and Sean Payton begging Saints fans to bring the noise all week, I expect four quarters of unrelenting sound and fury. Trust me, the Rams and Jared Goff aren’t ready for what awaits them. Few are. The last time the Saints played an NFC Championship Game in the Superdome the Vikings outplayed the Saints for four quarters. They dominated both sides of the ball and outgained the Saints 31-15 in first downs and 475-257 in total yards. And they still lost. They lost because they hemorrhaged mistakes at crucial times and the Saints seized on each opportunity. There’s a reason the Saints have won six consecutive home playoff games in the Payton-Brees era. Three-plus hours of sensory bombardment takes its toll on opponents. Eventually your focus wanes, and mistakes occur. It’s no coincidence that the Steelers fumbled twice in the fourth quarter in Week 16 and Alshon Jeffrey let a perfect pass slip through his hands in the final minutes last week. The Superdome mystique is real. If the Rams didn’t figure this out in Week 9, they will Sunday. Posted in Saints News | Comments Off on Saints will rout the Rams and reach the Super Bowl. Here are 5 reasons why. It’s the second of the two best football weeks of the year. A pair of playoff games each on Saturday and Sunday, although Who Dats will have to wait through the first three games for their postseason opener in the Dome this Sunday. 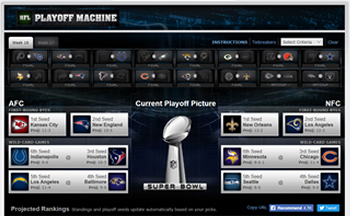 Down to the final eight, so which four will make it to their respective conference championship games? No need to wait for the weekend. Here we go with our fearless predictions sans care or scare. With our usual sass, crass and joie de vivre, we keep rolling and hope to continue the fun into Dirty Bird Stadium next month. Sean Payton’s $225k pep talk: Want this cash? This trophy? Win 3 games. If New Orleans Saints players needed any extra motivation before their hopeful playoff run begins, coach Sean Payton gave it to them before they started preparing for Sunday’s game against the Philadelphia Eagles. During the team meeting on Monday (Jan. 7), there was a big box underneath a gold curtain, and when Payton unveiled it, the players saw a glass case full of cash, along with a Lombardi Trophy. There were also three armed guards who carried in some of the money, a total of $225,000, as the Saints saw a visual of what they stand to win this postseason. Saints wide receiver Ted Ginn Jr. said the players reacted the same way anyone would when seeing that much cash. Posted in Saints News | Comments Off on Sean Payton’s $225k pep talk: Want this cash? This trophy? Win 3 games. The New Orleans Saints will face a team they trounced during a regular season meeting when they host the defending Super Bowl champion Philadelphia Eagles in an NFC Divisional playoff game next Sunday (Jan. 13) at 3:40 p.m. CT. The Eagles upset the Chicago Bears on Sunday (Jan. 6) in the last of four NFL wild-card games. As the No. 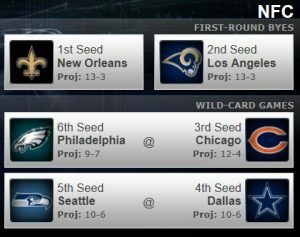 1 seed with home-field advantage through the NFC playoffs, the Saints were assured of playing the wild-card winner with the lower seed. The Eagles have the lowest possible seed at No. 6. The Dallas Cowboys, seeded at No. 4, will play Saturday in Los Angeles against the No. 2 Rams.